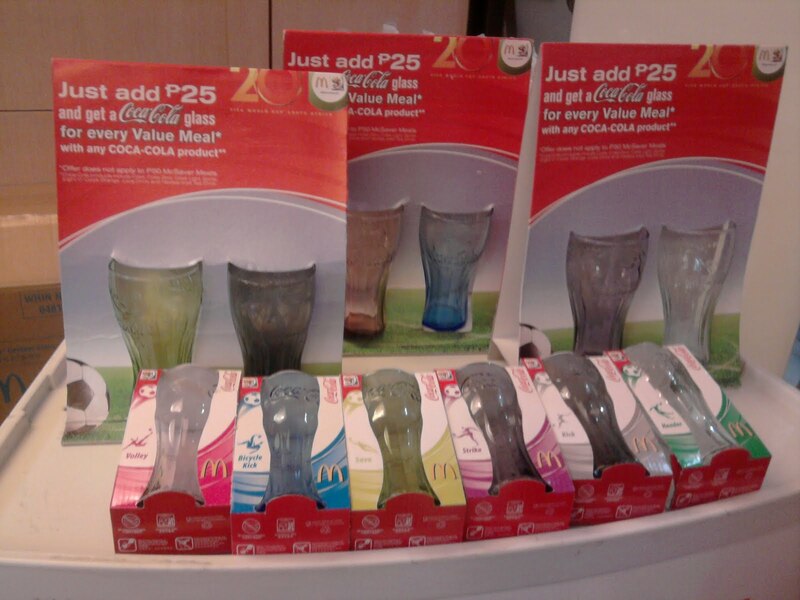 For every purchase of value meals you can avail the McDonald's Coca-Cola FIFA World Cup contour glasses for only Php 25. McSaver Meals worth Php50 are not applicable. My mom and I already got a complete collection of McDonald's Coca-Cola FIFA World Cup glasses. I first bought one when Justine and I dine in McDonald's Ororama branch. When my mom saw the glasses with football figures embossed in it she was fascinated and wants to collect all the colors. This contour glasses are offered until supply last so grab your complete collection too.